HURRY: RACE SHIRTS AVAILABLE ONLY FOR THE 1ST 300 TO SIGN UP! 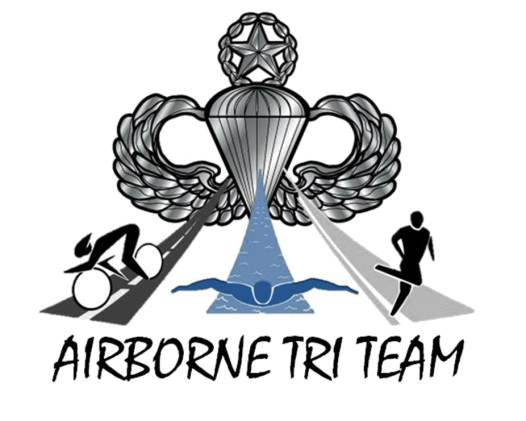 Airborne Tri Team is a nonprofit 501c3 organization specifically designed for mentally and physically wounded war veterans. 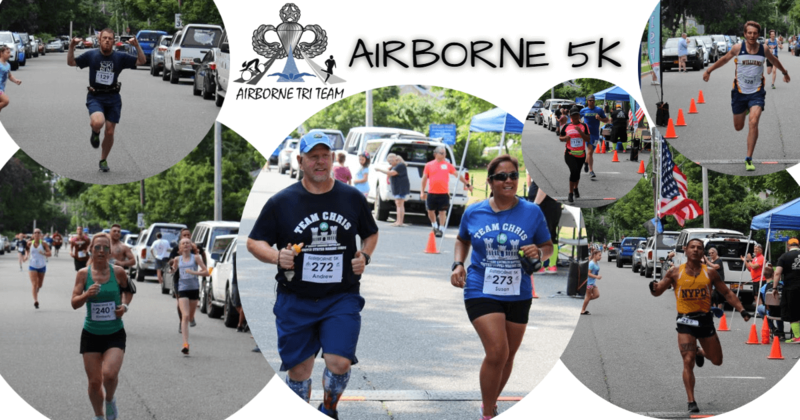 The central focus of Airborne Tri Team is to provide wounded veterans with opportunities, physical challenges, and goal oriented physical achievements meant to maximize their potential and increase their self-esteem through their involvement in the team. Self-esteem - particularly for wounded veterans - is fundamental and serves to promote the development of physical, social, and emotional wellbeing. The Airborne Tri Team philosophy embodies this and manifests it through sport and fitness activities geared towards promoting social development and for the physically injured, motor development as well. Over 47000 servicemen and women have been injured in the recent military conflicts. In addition to the physical wounds, it is estimated as many as 400,000 service members live with the invisible wounds of war including combat-related stress, major depression and post-traumatic stress disorder. Another 320,000 are believed to have experienced a traumatic brain injury while on deployment. In a 24hr-period an average of 22 war veterans take their lives. Airborne Tri Team is committed to serving as a lifeline for those who suffer in this way. Our mission is to provide an alternative to these veterans and soldiers from their slump by giving them something to look forward to and focus on accomplishing...something as invigorating as a Triathlon or Ironman – and all within the team setting so familiar to veteran, just with a battle buddy of a different kind next to them throughout.